Most people have heard something about fractals. There are many natural fractal shapes like clouds, trees, broccoli, etc. 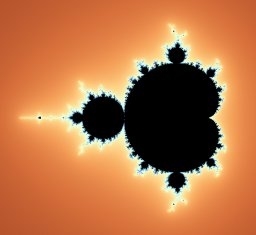 The most famous mathematical fractal is the Mandelbrot set. This fractal is two-dimensional. When this was invented, computers were very weak and in those days it wasn't possible to render three-dimensional fractals. Nowadays, the computing power of CPUs is thousands of times better. It has opened up many new possibilities. Rendering of first images took a lot of time, and was very difficult because the first programs didn't have any user interface. Fractals were rendered slice by slice, so programs needed gigabytes of memory. After development of Distance Estimation algorithms, rendering became faster and with less memory consumption. 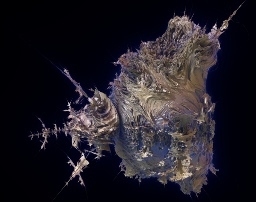 Please follow this link to learn the history of 3D fractals. New types of 3D formulas were also discovered. These fractals can be zoomed infinitely like two-dimensional fractals. Of course the zoom scale is limited by calculation precision. But it is not the only way to explore them. Because they form a virtual 3D space, it is possible to move the camera inside the fractal. 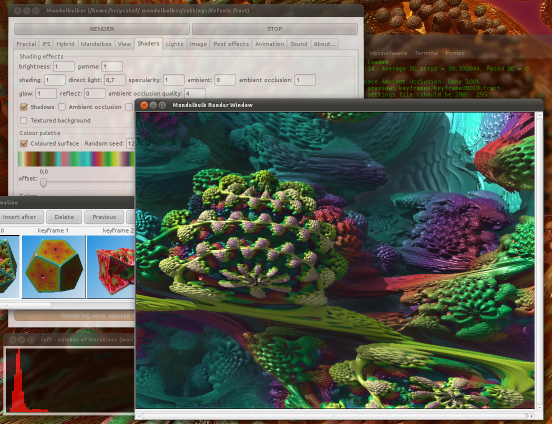 Mandelbulber is an easy to use, handy but experimental application designed to help you render 3D Mandelbrot fractals such as the Mandelbulb and some other kind of 3D fractals like the Mandelbox, BulbBox, JuliaBulb, Menger Sponge, and Iterated Function Systems (IFS). Welcome to the world of fractals!